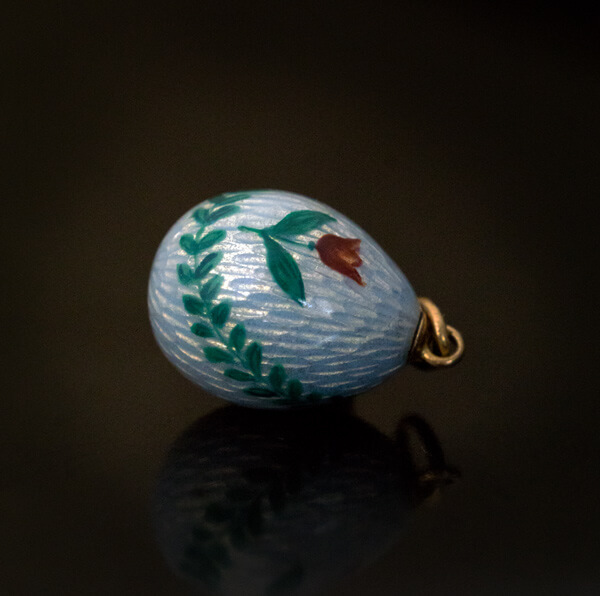 made between 1908 and 1917. 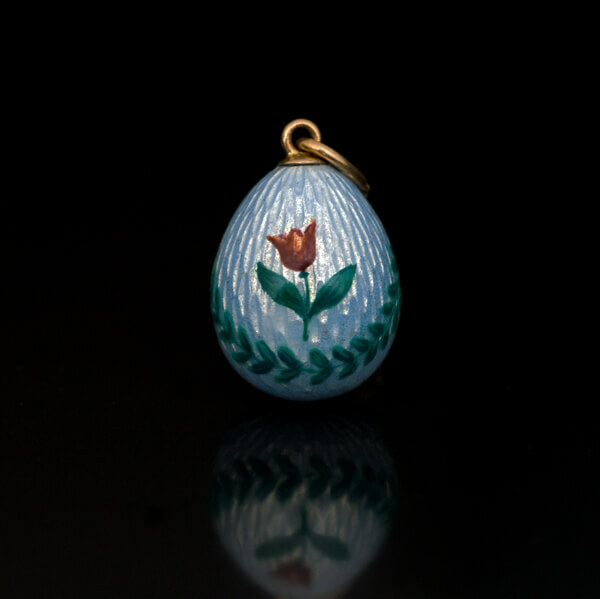 A charming antique Russian pale blue guilloche enamel egg pendant is painted with two red tulips and a green leaf garland. 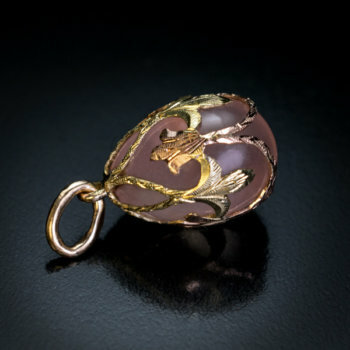 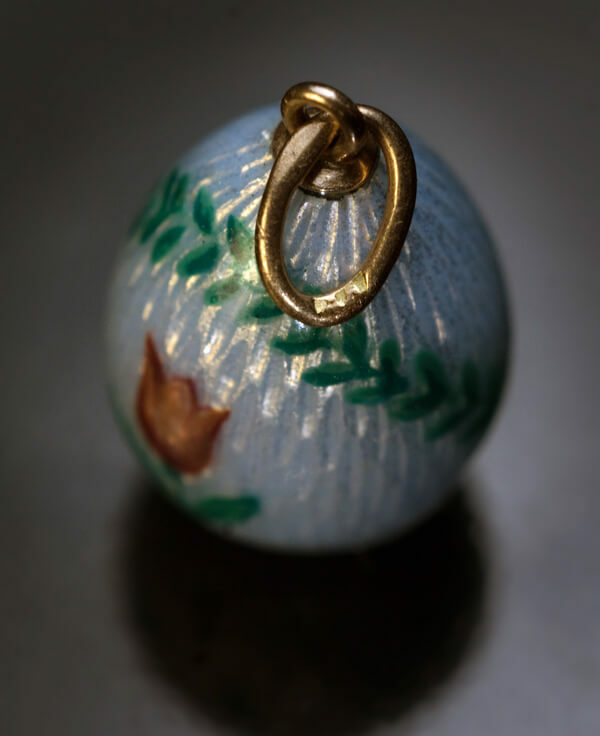 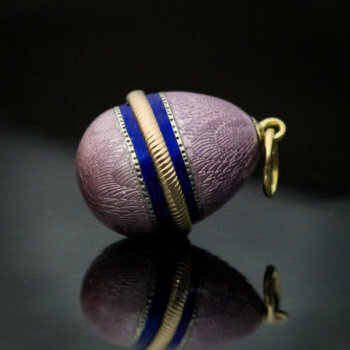 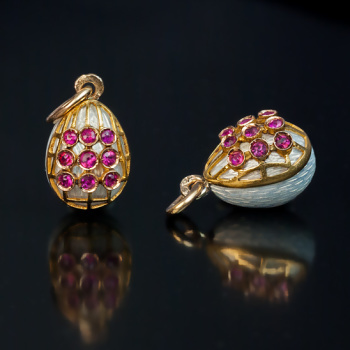 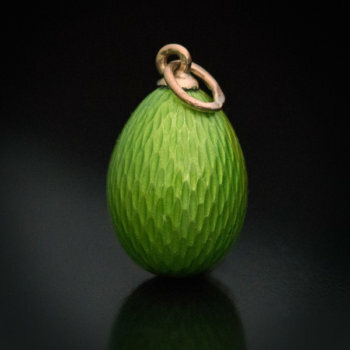 The egg is marked on suspension ring with 56 zolotnik old Russian gold standard and maker’s initials. 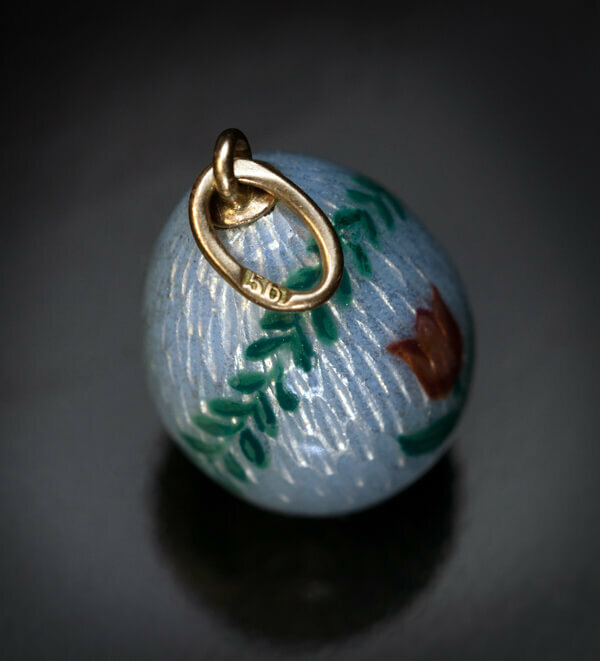 The initials are weakly struck but almost certainly ‘AA’ for Andre Adler who produced guilloche enamel jewelry for Faberge.